The first weekend of December is suddenly here. Unless you are one of those manically organised and gung-ho people whose festooned and twinkling house is visible on Google Earth, this is the time that many of us are just getting our festive act together: fashioning together door wreaths, attempting to string up tangled-together lights, writing and sending cards. All good fun, and great for getting us in the holiday mood. Are you also bracing yourself for an onslaught of hungry visitors? At any other time of the year I am relaxed about entertaining, planning it (hopefully) for when money is in the bank and when I know I have time and energy to do a gathering justice. But December is a funny old month. Happy, memorable and jolly to be sure, but also expensive, and tiring. That’s why, when contacted by VoucherCodes.co.uk to come up with a budget-minded recipe for their Feed The Masses project, I jumped at the chance. Fellow UK food bloggers and I were each tasked with coming up with a recipe that will feed 10 people for £30. Inspired by this brilliantly useful idea I knew I also wanted to keep it simple and fuss-free. Save the grandiose gestures and all-singing, all-dancing options for the Big Day. If you are anything like us, an easy, light and tasty meal is always a welcome counter-balance to the inevitable excesses of the season. Today’s recipe is not only easy, light and tasty but gave me about £15 in change from my £30 budget. And this was using organic produce. Plenty of money left to make a dessert, and even some nibbles too. 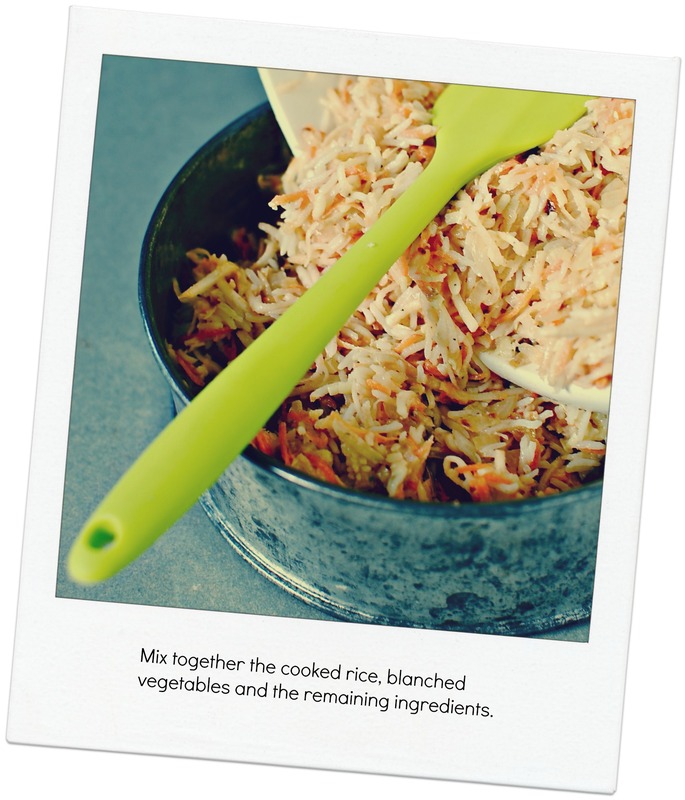 Although this is a vegetarian recipe – which is almost always the cheaper and more nutritious option – you could very easily add a layer of shredded leftover ham, turkey or goose. Or some cooked bacon. Vegans, you can leave out the eggs and cheese, and mix in some toasted and finely chopped nuts/chestnuts (or use some homemade vegan Parmesan, or some good old nooch). Note: You will see from the images that some of the edges got a little ‘caught’. Oh okay, burned. These were less dark in person, and were in fact deliciously crispy. Excuses, excuses. I’ve altered the baking advice to give an evenly baked result. I hope this recipe gives you some ideas for how to feed a crowd for less. For more inspiration, do check the Feed The Masses page site for links to other ideas. PS The VoucherCode folks asked me to do picture instructions, so sorry if it looks a bit more cluttered than usual. What is your best and cheapest crowd-pleasing recipe idea? Leave a link or just an idea – all welcome! 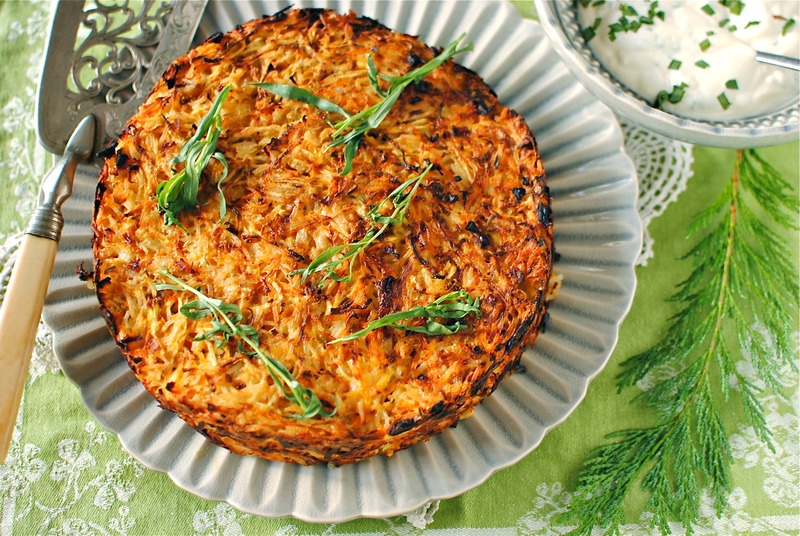 Keep holiday entertaining simple with this easy, healthy and delicious savoury cake. 1. Preheat the oven to 200C/400F. Oil a loose-bottomed tin. 2. 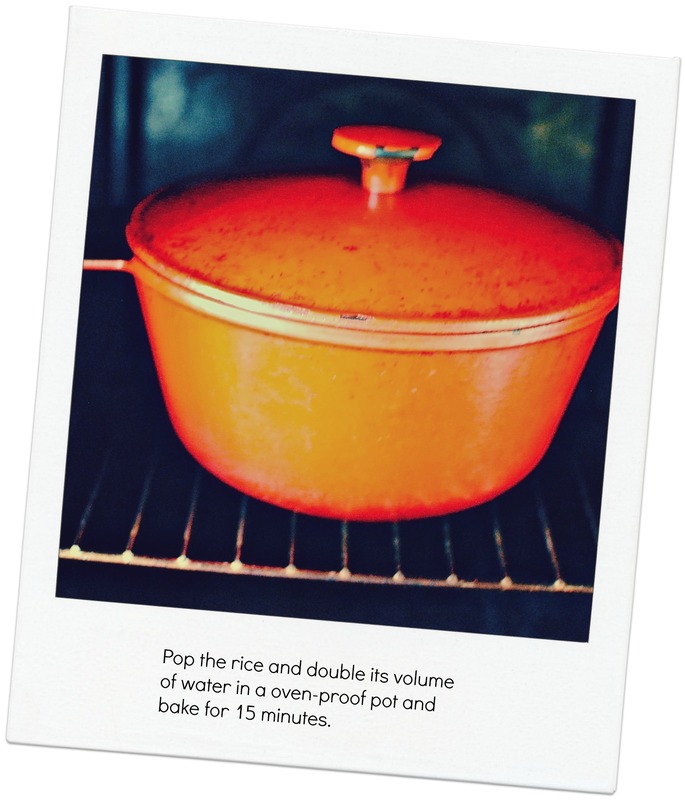 Pop the rice and double the volume of boiling water in a heat-proof casserole dish (eg cast-iron or Pyrex) and cook in the preheated oven for 12 minutes. Or, use your usual stove-top method, making sure the rice is dry and fluffy. I use the oven as the all-around heat gives great results, and no overflowing mess. 3. 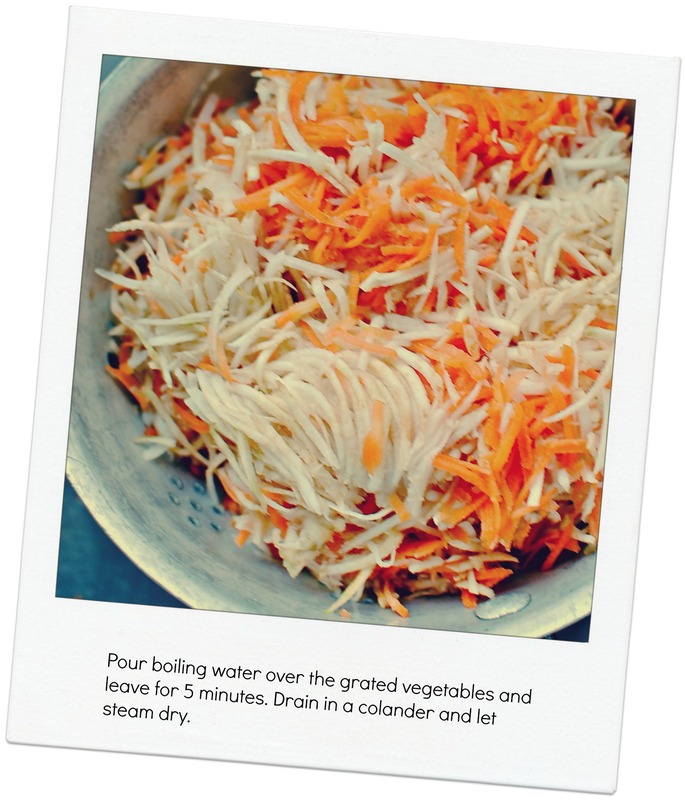 While the rice is baking/simmering, place the grated celeriac and carrots in a large, heat-proof bowl and pour over boiling water; cover and leave for five minutes. 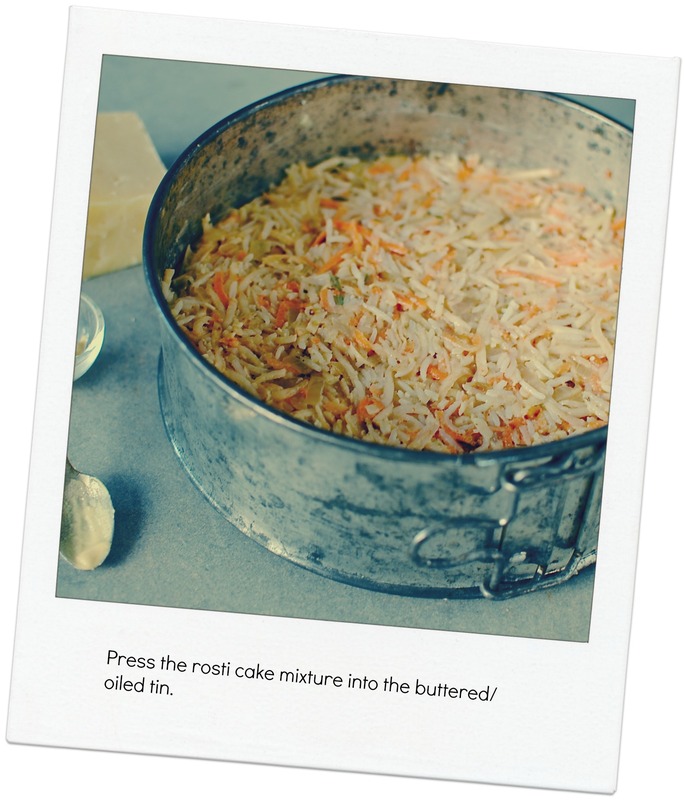 This blanches the vegetables and ensures they are well-cooked in the final cake. Do not skip this step. Drain and let steam dry in the colander. 4. Saute the onion in the oil until golden and translucent. 5. 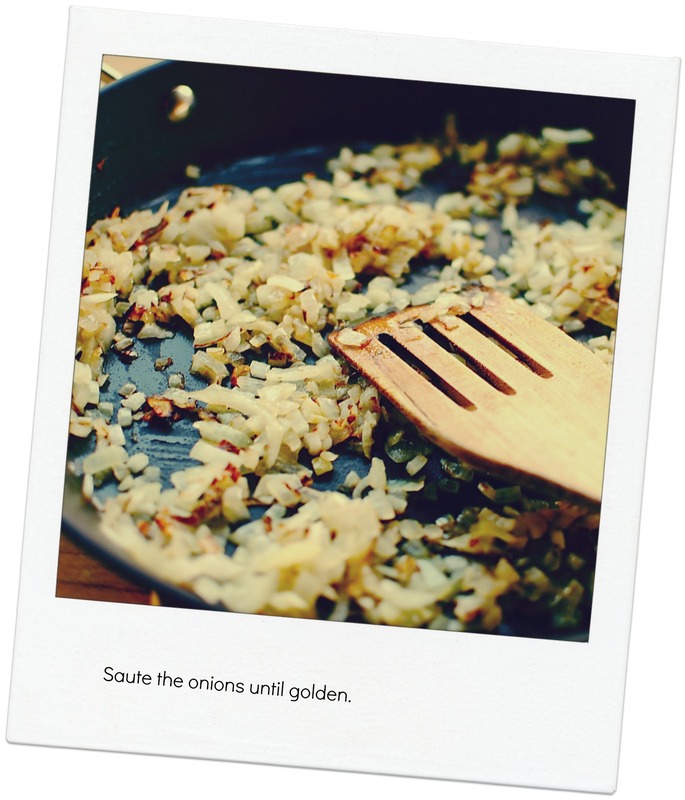 Mix together the cooked rice, blanched vegetables, sautéed onion and the remaining ingredients. 6. Press into the oiled tin and place on a baking tray; cover with foil. 7. Bake for 15 minutes, then remove the foil and continue baking for 30 minutes. Cool slightly at room temperature before loosening the tin and removing the cake. Serve warm or at room temperature. 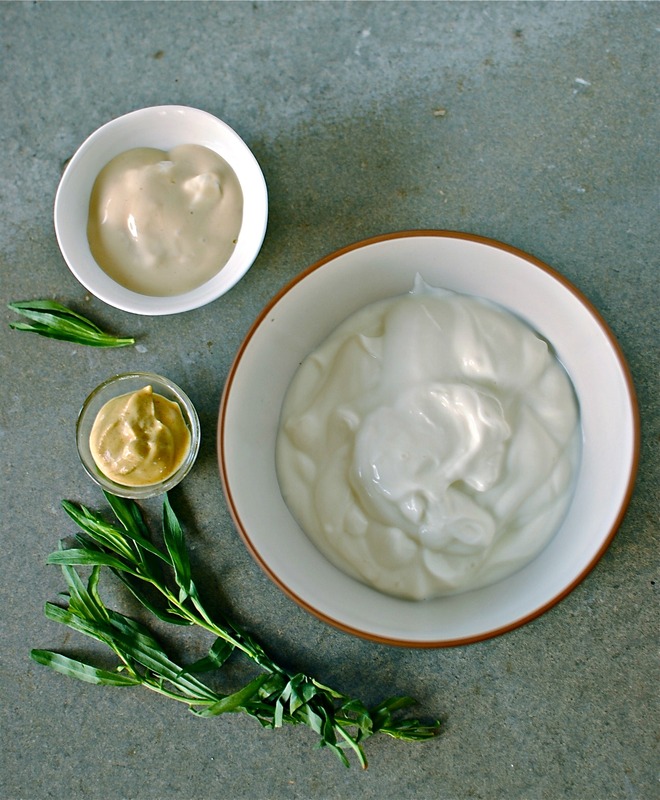 See below for a quick remoulade-type sauce to accompany. 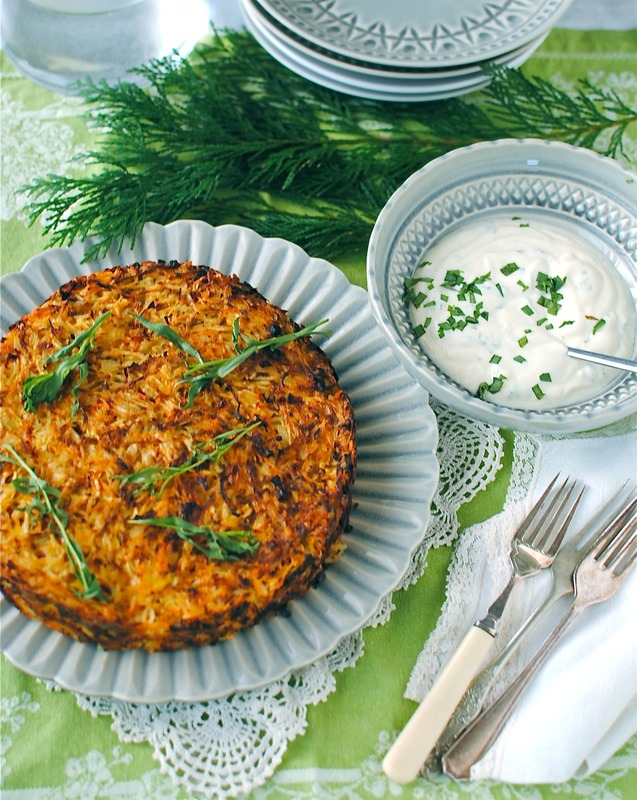 Mix together and serve with the above rosti cake or with grilled fish, or mixed with freshly grated celeriac for celeriac remoulade. This. Looks. Stunning. Love your photography. And I want to eat this!! Looks amazing! I really like your picture instructions too! 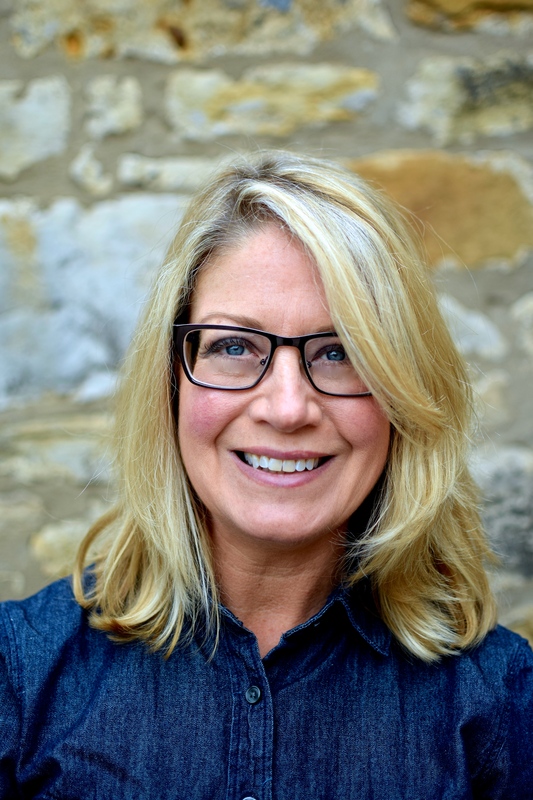 Kellie, always a delicious surprise when I visit your page! What a great recipe! Christmas is so close now, isn’t it… and yet it just doesn’t feel like it! My cheapest crowd pleaser? Chicken wings with my very special marinade… oven baked and served as a party starter! amazing! Looks for gorgeous! This cake really glows! I’ve had rosti in Switzerland and it is really fabulous. I mean, what’s not to love?!! But I also love variations on traditional dishes, and this one looks really wonderful! I especially love the carrots. Beautiful photos. 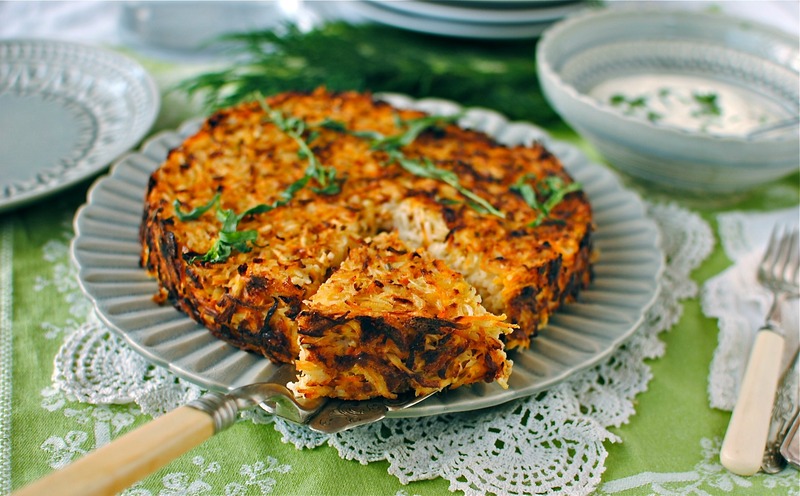 What a great way to feed a few friends, love the ides of baking this in the oven and serving with light sauce. I think this makes a versatile meal and love how it can be adapted to use whatever you have to hand, yum! What a delicious sounding recipe…..can’t wait to give it a try. I love using spices and herbs to add unexpected flavours! Thank you for sharing this dish. 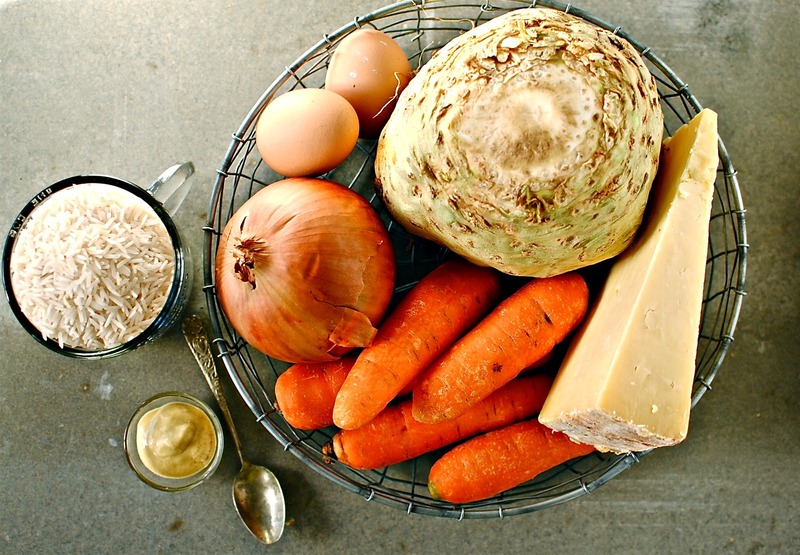 I just used up my celeriac, but I must try a version of this dish when I buy some more! Lovely. I was on mobile so couldn’t comment on here the other day. Love this idea. I’m not a fan of celeriac on it’s own so tolerate in dauphinois style dishes but this verions looks much much healthier. Gorgeous! Yes this is much healthier, but I for one am partial to a bit of dauphinois. Naughty and nice.